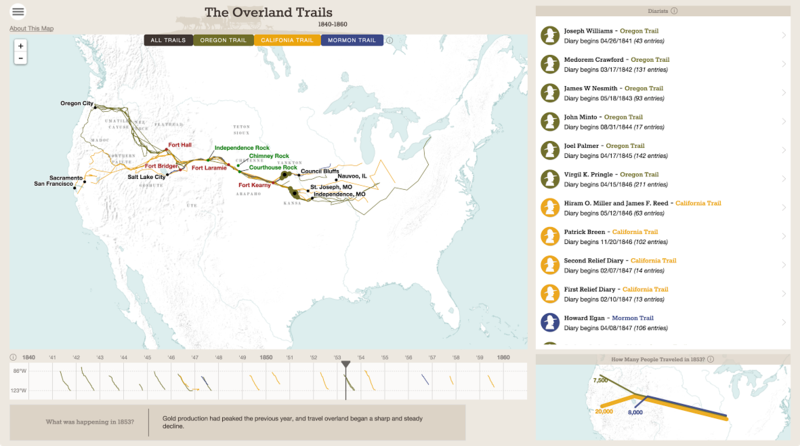 During the 1840s tens of thousands of American migrants made long journeys through the American West seeking land in Oregon, gold in California, and religious liberty in Utah. Click on the map to check it out! This entry was posted in Awesome Articles, Cool Stuff by Cindy Espeseth. Bookmark the permalink.